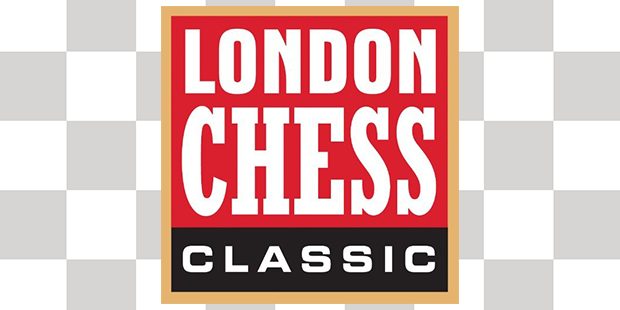 Round-4 of the London Chess Classic 2016, was held on December 12th. It saw only one decisive game, from American Grandmaster, Hikaru Nakamura, just as the in previous round. His victim is this round was Bulgarian Grandmaster, Veselin Topalov, who is not having a pleasant time of things at all in London. The loss to Nakamura handed him his third loss in four games. In the Caro-Kann Advance, Topalov (playing White) got himself into trouble very quickly, situating his Queen on a4 where it was very vulnerable. 11.c4(?) seems to have been the beginning of Topalov’s problems, the move being a bit too bold for the situation. Nakamura’s 11…a5(!) was very strong, giving White Queen considerations while also putting pressure on c5. Soon, Topalov was ditching his Queen for Nakamura’s bishops and a rook, which in some situations would be a fair exchange; in this case, it did him no favours at all. The problem was that his extra pieces just were not active, his bishops still at home and a knight stuck on g7, totally dead in the water. Nakamura’s 20…Nc5(?) was a slight let off, however, (…Qe5+! 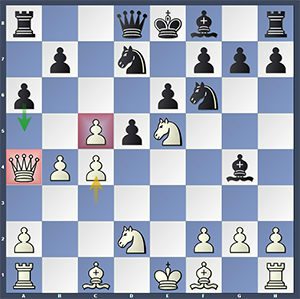 ), allowing his opponent to situate his dark-squared bishop on the long a1-h8 diagonal. Unfortunately, this was not taken full advantage of, 23.Be2 should really have given way to 23.Ra7+, which could potentially have saved White’s point. From here, Black took more and more of a grip on the position and White was soon overwhelmed. I can imagine this stung very badly to say the least. It is not exactly the loss, but the nature of the loss — it was a bit of a bashing. Anish Giri appropriately chose the London System in order to take it to tournament leader, Wesley So, but this did him no favours at all. The problem with such flexible systems, is that as attractive as they are, they can be a very double-edge-sword — if one does not have a clear plan, things can quickly go south. This is what seems to have happened, here, with White getting himself problems, not least an isolated e-pawn and King stuck in the centre. Black gradually took the better stance and White’s decision to exchange his knight, (which was an important defensive piece), further worsened matters and the e-pawn fell. The crucial point seems to have been So’s decision of 29…axb6, (29…Ra5 was perhaps more forceful), which led to a line allowing White to create some counter-play with a passer of his own. 37…Bc6 allowed simplification and after this Giri seemed much more comfortable and drew without too much trouble. It may be a while before he plays the London again, however. Vladimir Kramnik took up a Colle-type system against Maxime Vachier-Lagrave, but as soon as the tension had mounted, they engaged in a series of exchanges which left the position very simplified. The players played on, but unless there was a serious error, a draw was the likely result and this it was in 61-moves. The Spanish of Fabiano Caruana and Levon Aronian didn’t really turn into any kind of debate and was drawn in 31. Michael Adams and Viswanathan Anand got into a Guioco Piano in which White was slightly better throughout. White did not seem to want to try for very much from it and Anand’s 29.Kf2 was either a very bad mistake, allowing Black a tactic to solve his problems, or (more likely) a draw offer. In the end, the game was a rather eventless 32-mover. All of this left Wesley So in the lead, with one more round to go before the rest day. Total chess nut! I enjoy following the chess world and giving my two-penneth. I don't pretend to be an expert, I'm more a knowledgeable enthusiast. My chess writing can also be seen at www.chessimprover.com. World Chess Championship 2018: Carlsen’s Final White Game Does Nothing To Threaten Caruana. 43rd Chess Olympiad, Batumi 2018: China Wins Double Gold! Norway Chess 2018 Round Seven: Anand Notches Up A Point.